Home / Columns / Bob Magee / Should Sports Purists Be Up In Arms? Should Sports Purists Be Up In Arms? AS I SEE IT: Should Sports Purists Be Up In Arms? 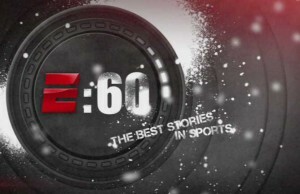 Sports purists were up in arms this past week, as ESPN established a permanent section for WWE on its ESPN.com site. These are probably the same people who screamed bloody murder when ESPN did a weekly interview series with WWE talent on SportsCenter beginning a year ago with SummerSlam. Or the ones who side with Conor McGregor during his recent rants at WWE talent (leaving out the possibility that this a setup for them doing business in the future)…, which included: “Ric Flair’s a legend but as far as gimmicks, this is the real thing over here…I think these WWE guys, they’re not right in the head some of them. I mean the new guys are dweebs, let’s be honest, absolute dweebs but the old school guys are legends. Ric Flair is a legend. The McMahons of course — Dons. 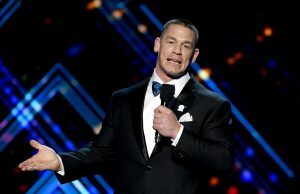 But I just say it as it is — they’re dweebs.” Not to mention his most recent one targeting John Cena: “What’s the main guy? John Cena,” the UFC featherweight champion said at a gym day to promote UFC 202. “He’s 40. He’s 40 years of age. He’s walking around in a luminous orange t-shirt and a headband talking about nobody can see him. We can see him right there. He’s a big fat, 40-year-old failed Mr. Olympia motherf$#%er.”. Well, purists need to tone down the self-righteous attitude, and take a look at ESPN’s history. First, ESPN’s original name was Entertainment and Sports Programming Network. It still airs the National Spelling Bee, not exactly an event requiring a 9.0 in the 100 meter dash. ESPN first aired Pro Wrestling USA (the venture of AWA, Crockett and other NWA promotions). After the members promoters went their separate ways, ESPN then started airing AWA beginning in September 1985, and aired the promotion until 1990. Some notable AWA matches aired during those tapings, including a one hour classic broadway between Curt Hennig and Nick Bockwinkel taped November 21st, 1986 (airing on New Year’s Eve 1986), as well as an AWA tag title match with the Midnight Rockers (Shawn Michaels/Marty Jannetty) vs. Doug Somers and Buddy Rose, one of the bloodiest matches ever seen on national TV at the time. ESPN also aired World Class from fall 1986 to 1988, and the Global Wrestling Federation from 1991 to 1994. GWF was noted (particularly at the beginning) for acknowledging other promotions as part of wrestler’s bios, including former championships and that wrestlers left to other promotions, as well as tours current wrestlers were legitimately taking for Japanese promotions. The show also aired news segments with features from around the sport (taken from the regionally broadcast Pro Wrestling This Week, also piloted by Joe Pedicino). ESPN has also featured wrestling on ESPN Classic (US), with Global Wrestling Federation, and UWF/Mid-South Wrestling airing since 1993. From its beginning, ESPN Classic Canada aired episodes from USWA (Texas), CWF, American Championship Wrestling (Florida), PWF, Florida Championship Wrestling, Global, UWF and Wild West Wrestling. More recently, ESPN has featured “30 for 30” documentaries on wrestlers including “Wrestling The Curse” on the Von Erichs. and an upcoming “30 for 30” on the career of Ric Flair. So the relationship will continue. The question, though of how (or IF) uncomfortable issues will be dealt with in these interviews or articles is an interesting one. Well, it’s 2016. Stephanie McMahon and HHH have both publicly come out in support of marriage equality on more than one occasion. WWE as a promotion came out against North Carolina’s notorious HB2. In this environment, can adding LGBT characters work in wrestling in 2016? Ring of Honor’s Dalton Castle is (if ambiguously so) a LGBT character…but once he gets in of the ring his character is more flamboyant than anything else. Exoticos have been a staple in lucha libre for many years, including CMLL’s Maximo, who plays an exotico (while married and with a son). Maximo actually became the promotion’s World Heavyweight Champion in 2015. WWE has a publicly out performer in Darren Young. But he’s stuck right out in a silly storyline with Bob Backlund parodying the Donald Trump “Make America great again” shtick.